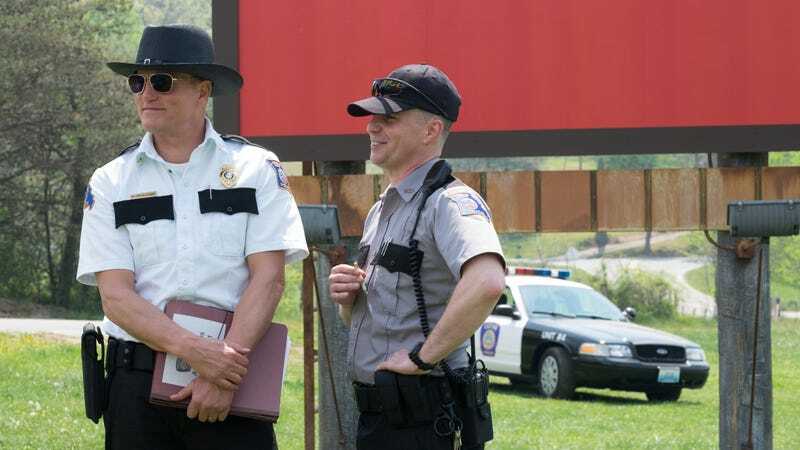 Martin McDonagh’s latest film, Three Billboards Outside Ebbing, Missouri, is currently nominated for seven Academy Awards, including Best Picture, Best Actress, and two nods for Best Supporting Actor (for Woody Harrelson and Sam Rockwell). That critical adulation hasn’t stopped the film, about a woman (Frances McDormand) seeking justice for her murdered daughter, from also garnering its fair share of controversy and backlash, though, as critics angrily moved to social media to protest the film’s recent Golden Globes wins. Now, McDonagh has responded to the uproar against the movie, placing much of it at the feet of its treatment of Rockwell’s character, police officer Jason Dixon. McDonagh called his film “deliberately messy and difficult,” saying, “We’re not making films for six year olds, we’re not making The Avengers. We’re trying to do something that’s a bit little more difficult and more thoughtful.” He also said that he hopes that the movie’s detractors understand that “our hearts are totally in the right place,” and that the film was intended to address problems for which no easy answers exist. Will Three Billboards get swept to victory on a wave of righteous anger or drown in its backlash?